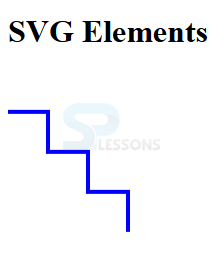 This chapter demonstrates about the SVG Elements which have the several attributes to built the SVGs, following are the concepts covered in this chapter. 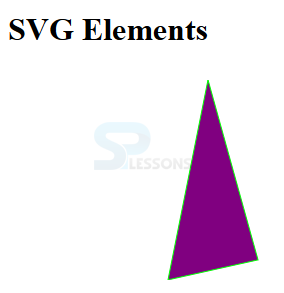 SVG Graphic elements are basically having some attributes like fill attribute stroke attribute these are used to fill the color and stroke the width of the image like color and size. The code below demonstrates the eclipse which consist a center point and two radii those are one for x-axis and the another for the y-axis as shown below. 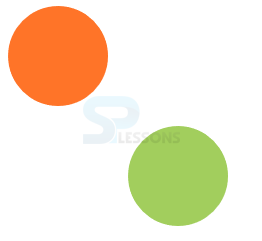 The code below demonstrates the SVG Line element which is created by line between the two points these are created by using x1,y1 for the first point and x2,y2 for the second point as shown below. The code below demonstrates the SVG rectangle element which needs x and y value to determine its location and is also required the height and width of the rectangle. User can also get the rounded rectangle by adding the rx,ry as shown below. Thee code below demonstrates the rounded rectangle by adding the rx,ry. The code below demonstrates the SVG Polyline element which is defined as the collection of connected line elements and which are defined in list of points attribute which is in the form of x1, y1, x2, y2, x3, y3 so on is as shown below. The code below demonstrates the SVG Polygon element in which first and last points are connected same like as a polyline and which uses a list of points. 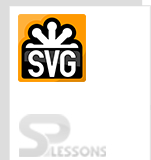 The code below demonstrates the SVG element Text which is used to add fully accessible text in a SVG Graphics and x and y attributes are used to define its position. 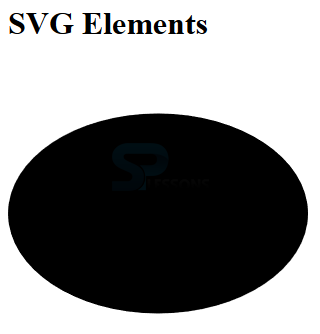 SVG Container element is defined by <Defs> element what ever the elements are inserted in Defs those are intended for re-use. The code below demonstrates the Defs element as shown. The g element is used to group the items which allows to group the collection of shapes and give the group id or class these are used to animate or style with CSS. The code below demonstrates the grouping the collection shapes as shown below. 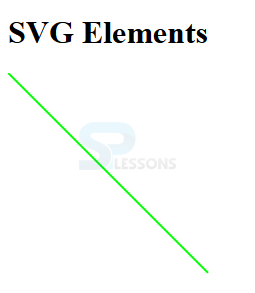 SVg element line starts from starting point and ends with ending point. User can make the rounded rectangle by adding the rx,ry. Defs are the reused elements.